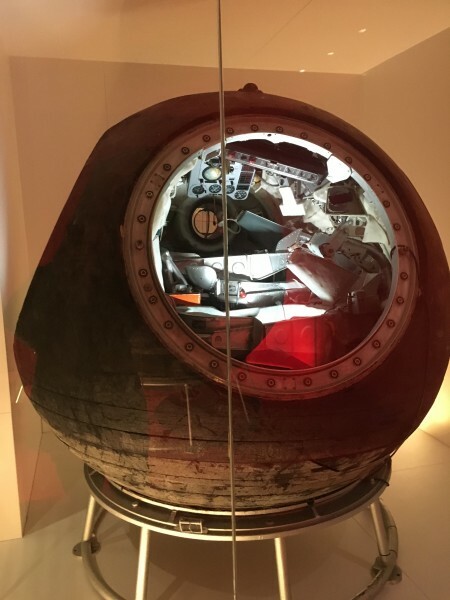 This is Vostok 6, the space capsule in which the first woman in space, 26-year-old Valentina Tereshkova, travelled out and safely returned to Earth in June 1963. This is Voskhod 1, the first spacecraft to take more than one person into space, Vladimir Komarov, Konstantin Feoktistov and Boris Yegorov being the three-man crew on its brief mission in October 1964. It looks to my eye even smaller than the Vostok capsule in the next case. There was not enough room for spacesuits. This is Soyuz TM-14, the first Russian (as opposed to Soviet) space flight, launched in March 1993 with two Russian cosmonauts and a German. They docked with the Mir space station; the German stayed only a week, but the Russians stayed until August and brought a more recently arrived Frenchman home to Earth with them. 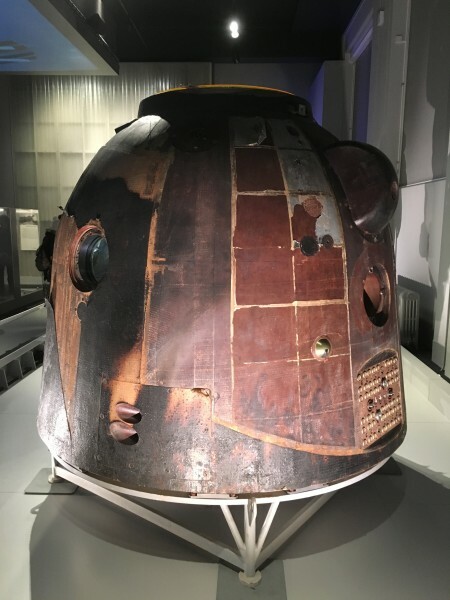 When they landed, the capsule ended up upside down and they hung suspended in their seats until the recovery team reached them. 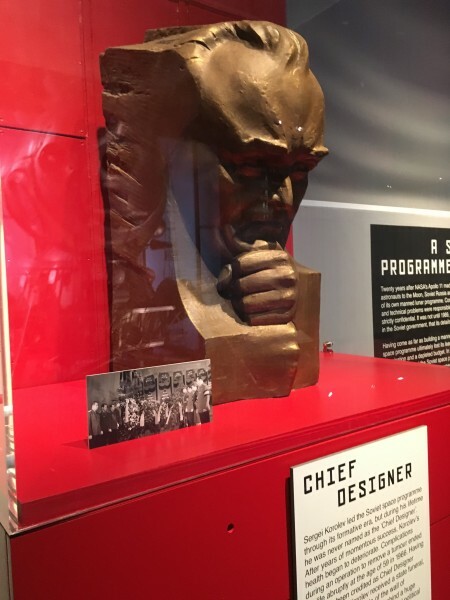 This is a memorial bust of Sergei Korolev, the Chief Engineer who made Soviet space flight possible. Working in politics, my instinct is to provide an ideological critique of all of this (and there is plenty to critique). 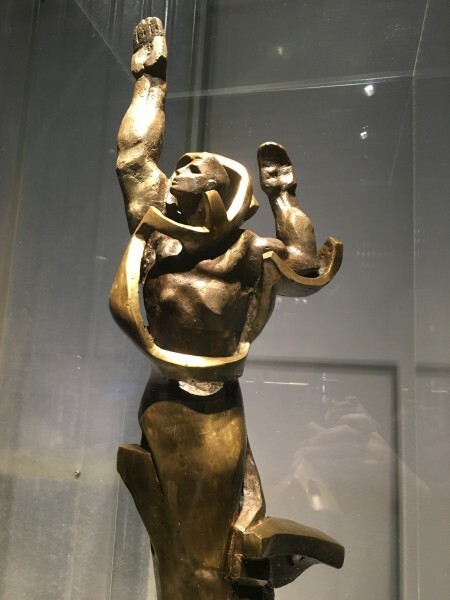 But sometimes one should take a step back and appreciate the achievements of humanity. 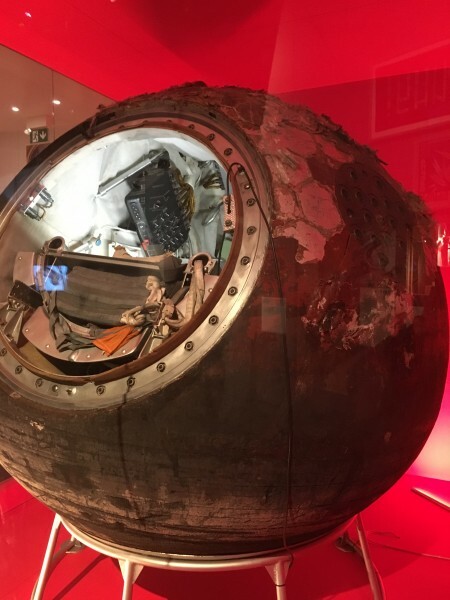 The Cosmonauts exhibition runs only until 13 March in the Science Museum in London. Worth a detour, as the Michelin guides used to say. I asked if it was okay to take photos without a flash and got consent.